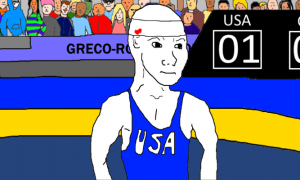 In the whirlwind that has been the past few weeks, what with the Pan Ams, the European Championships, and the Asian OG Qualifiers, it may seem as if the US Greco Olympic Trials are still a ways away. But that is not the case – action kicks off on Saturday, April 9th in Iowa City, so it is all approaching very fast. Likely even faster for the athletes themselves. 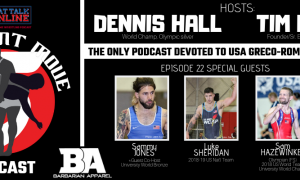 That means while some grueling preparation is still in order for all of the competing wrestlers, the proverbial light is starting to peek through cracks in the tunnel. The stories behind the matches won’t get lost in all of this, and there will be plenty of them to consider. When an Olympic spot is on the line, the intensity level is ratcheted up beyond compare. It is a special, palpable type of electricity that even as a spectator, feels tangible. Like you can touch it. There might be drama in other sports, but it doesn’t get any better than what goes on at the US Greco Olympic Trials. And this time around, there is the potential for some very special moments that would be a shame to miss out on. While we’re not ready to reveal our full preview just yet, here are a few of the storylines that might be worth your attention in the meantime. And its ruler is Spenser Mango. Mango, two-time Olympian and seven-time Open champion, presided over the lowest weight when it was 55 kg and still does at 59 kg. So what’s changed? The depth is still there. His little brother, Ryan, has made his mark on the senior circuit as a beast to watch out for. Jesse Thielke, runner-up to Mango at last year’s World Team Trials, is always someone capable of putting up points and ruining the party. Nikko Triggas, who has been training in Scandinavia among other places, is a prime competitor. 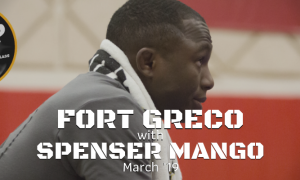 But all these dudes aren’t Spenser Mango. And none of them have been able to push the ruler to the brink thus far. Enter Ildar Hafizov. Hafizov, the 2008 Olympic representative at 55 kg for Uzbekistan, has been on US soil for a while now, and is now an official Army/WCAP competitor. Oh, and he has a 2-2 (criteria) win over Mango from this year’s Vantaa Cup as well as a victory six years ago at the Schultz Memorial. See how this is setting up? The two were even slated to meet again in December in the finals of this past year’s Open until Mango was called upon to default, making Hafizov the victor once again. If you want to call it that. Mango, who might very well be lacing them up for one last run, is not going to go quietly into the good night. There might be a steely yet penetrating focus for an event like this where the stakes are so high, but this time it’s a little different. And to pretend it isn’t would be foolish. All of the contested weights are worth glueing your eyes to. Just none more so than 59 kg. Andrew Bisek (world no. 5) is, of course, the favorite. He’s everyone’s favorite. Then there’s Cheney Haight (world no. 20 at 80 kg). He’s a rough customer with impressive international credentials in his own right. But Geordan Speiller (world no. 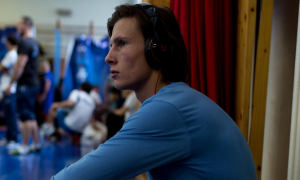 15), who has been challenging any and everyone on the national stage before taking third at the Hungarian Grand Prix, seems poised to make his mark, as well. That makes the wildcard none other than Justin (Harry) Lester. 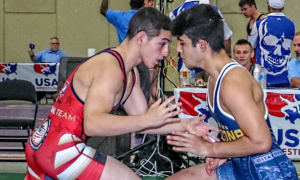 Lester, preparing for his swan song, is one of the most electrifying and gifted Greco Roman wrestlers in US history. A terror on the mat and an affable gentleman off of it, Lester is someone who will be missed. But he’s not gone yet. At 32, Lester still has the tools and gameness to make a run at this thing. If he finds his way into the best-of-three final, look out. 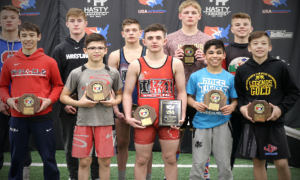 These four will have to travel through a stacked bracket at the US Greco Olympic Trials, but it’s an eventuality at least two of them match up. Between the pummeling, head-knocking, and lift attempts, anyone who zones in on this particular weight might need a neck brace when it’s all over. Jordan Holm is a dynamic physical specimen who appears as though he was genetically-engineered specifically for this sport. He’s also aggressive, opportunistic, and stoic. An enigma, really. But there is nothing enigmatic about what he’s capable of, and if you need proof, glance over at his recent accomplishments. They’ll jump off the page at you. However, waiting for him will be Ben Provisor, 2012 Olympian and resident cyborg himself. 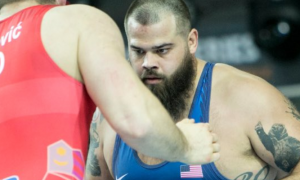 Provisor had been injured, and after having his elbow/arm/appendage surgically repaired, is mended and training for the US Greco Olympic Trials. There’s something to be said for what Holm has managed to do over the past couple of years. But there’s also something to be said for someone who’s been there before. These spots aren’t given; they are earned with sacrifice, buckets of blood, and years of toil. Whomever emerges is deserving of a deep respect that can only be the result of extraordinary circumstances. That is what they train for. That is what we’re all banking on. See you in Iowa City.